The tower of the city hall was erected between 1889 and 1892 by Heinrich Freiherr von Schmidt in neo-Gothic style. The coats of arms below the roof represent the founding members of the German Empire in 1871. 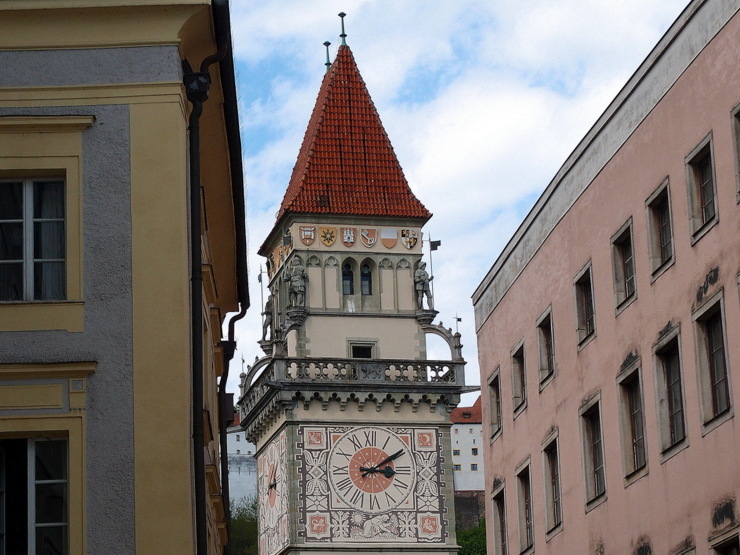 This entry was posted in Neo-Gothic, Towers and tagged Bavaria, Germany, Passau by Travelwriticus. Bookmark the permalink.